Renault isn’t known for building pickup trucks, but that’s about to change. 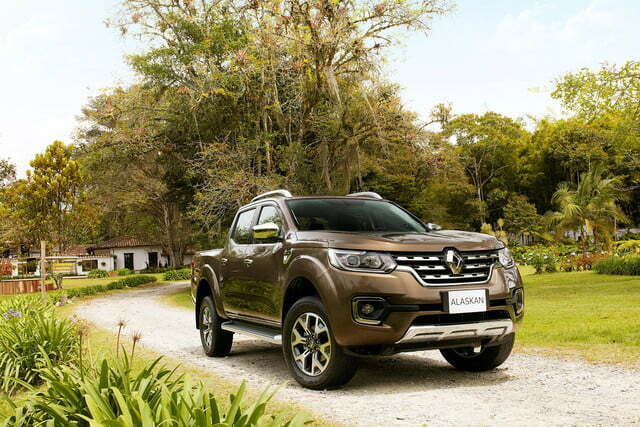 The Paris-based carmaker has lifted the veil off of the Alaskan, its first-ever body-on-frame midsize pickup, during an event held in Colombia. Previewed by a thinly veiled concept, the Alaskan is instantly recognizable as a member of the Renault lineup. It falls in line with the company’s design language thanks to styling cues such as a tall, upright grille characterized by an oversized emblem, and sharp headlights accented by C-shaped LED daytime running lights. 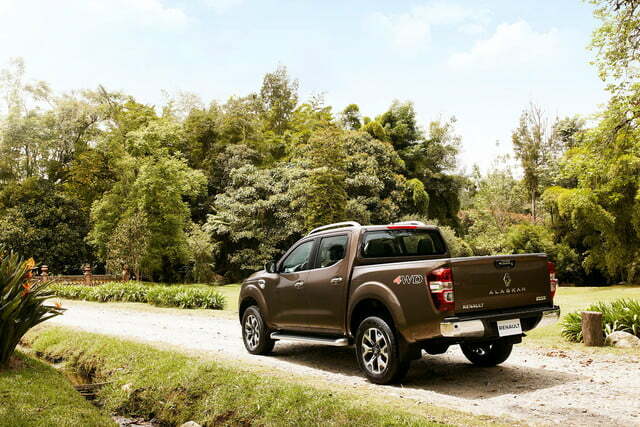 However, a look beyond the front end unmistakably reveals the Alaskan is based on the Navara that Nissan sells in dozens of global markets. 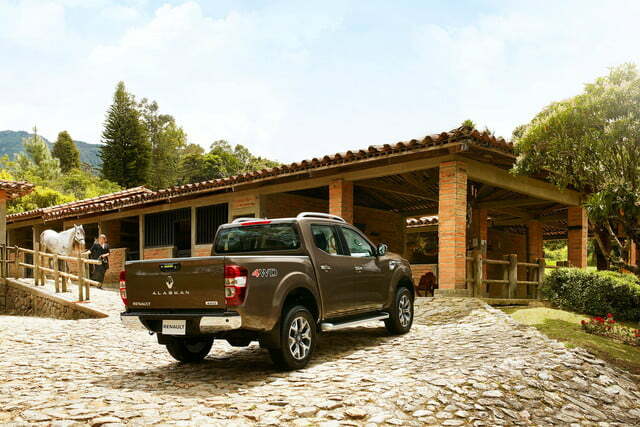 Renault’s truck is aimed at both professional buyers who need a workhorse, and customers looking for a tough pickup that’s capable of keeping up with their active lifestyle. Consequently, the lineup includes single- and double-cab variants, short and long beds, wide and narrow bodies, and even a cab-chassis model. While base models are Spartan at best, upmarket variants offer a posh, almost crossover-like cabin. 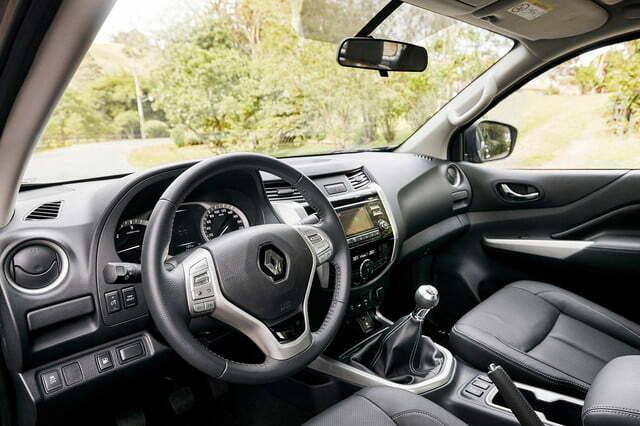 The list of available features includes automatic dual-zone A/C, heated seats, key-less entry, a 360-degree camera, leather upholstery with contrast stitching, and a seven-inch touch screen. Additionally, The double-cab truck is available with an optional five-link rear suspension that improves the ride quality. Buyers can choose between a 2.5-liter, gasoline-burning, four-cylinder engine rated at 160 horsepower, or a twin-turbocharged, 2.3-liter, four-cylinder turbodiesel that’s offered with either 160 or 190 horsepower. The Alaskan can tow about 7,700 pounds in its most capable configuration. Rear-wheel drive and a six-speed manual transmission come standard, while four-wheel drive, a seven-speed automatic gearbox, or both can be had at an extra cost. 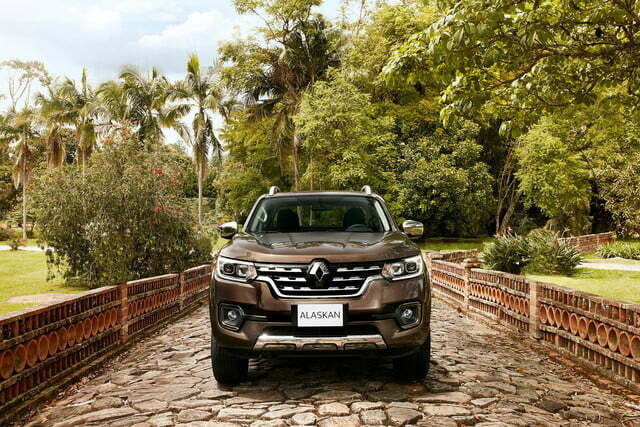 The Alaskan will initially go on sale in Colombia, and it will join the Renault lineup in a handful of other Latin American nations shortly after its debut. Its main rivals include the virtually indestructible Toyota Hilux, the Mitsubishi L200, the Ford Ranger, and the Volkswagen Amarok. 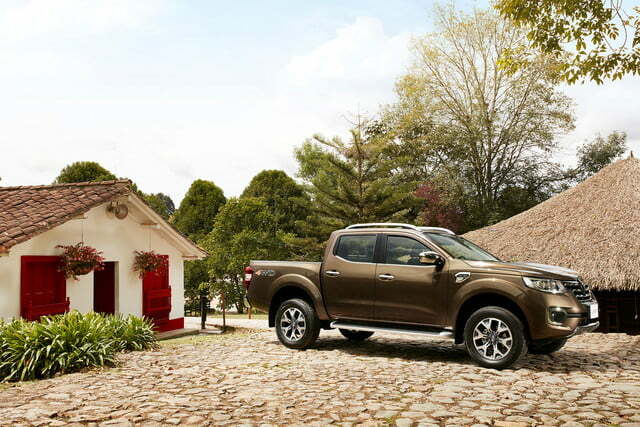 Later on, top-end variants will square off against Mercedes-Benz’s upcoming pickup, which is also based on the Navara. Renault is expected to sell the pickup in Europe — even though the pickup market is tiny at best — in Australia, in Asia, and in Africa. However, don’t expect to see the Alaskan land in the United States, where the company hasn’t sold cars for nearly a quarter of a century.